There is something about the way consumers shop which amazes me every time I observe the way they shop. As it is, women shop & men buy. And within that, there are so many complexities that are involved. For example, when men walk into a Supermarket, they go straight to the product category they came looking for – could be Shaving creams or Shoe polish; and if they can’t find something, they would typically reach out for help – ask the closest associate in the store to help them out. Once finished, they would walk straight to the cash counter, wait impatiently, fiddling with their mobile phones and would be out of the store – all this within 7-9 minutes on an average. The duration could be just about double if they enter a Hypermarket, the additional time taken purely to walk the aisles. And Women – Welcome to Shopping; typically spend between 20-35 minutes in a supermarket and 60-80 minutes in a Hypermarket. While men do not keep a list of things that they want to buy (they think it is manly not to carry such lists), women are quite the opposite. They not only carry a list, but also pick up many other things that are not in the list. According to a survey done in 2008 by a famous Research agency, women shopper’s purchased atleast 30% of their total shopping by impulse. The scene is a bit different while shopping apparel and accessories. Men usually know which brand, what fit and colours they intend to “buy” and usually end up to Speciality Stores that stock a single brand with a deeper assortment. Quite contrarily, Women shoppers are more likely to visit Department Stores since they are usually undecided on all parameters – brand, fit and colour except in rare instances. And hence, spend twice or more time than men in such outlets. While I used to work in Benetton, I have observed that 7 out of 10 shoppers who took “trials” of apparel ended up buying. But it was only 20% men who took trials – they feel shy to come out of the Trial rooms just too often to show-off their attire to their kith and kin and it is common to see Men shop alone, while women shop in groups, most commonly friends, if not other family members. While Men replace their worn-out accessories, women buy a new one much before they discard their old ones, be it bags or belts. What’s interesting is the way women and men behave while shopping – it’s not just informative but amazing to see how both genders react. 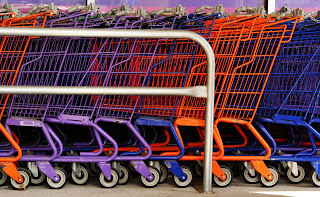 While most Hypermarkets and Supermarkets have trolleys for the convenience of customers, they are usually seen as mere tools and must-haves because others in the business do. But if they are put to better use, then they can actually make a big difference in the way people end up shopping. For example, men never care to take a shopping bag, whether at super markets or Hypers or apparel stores. Somehow, they believe their two hands can carry almost everything they wanted to buy. It’s common to see Shopping assistants or CCAs handing over shopping bags to them – not just to help them carry safely but also in the thought that they would carry on shopping even if their hands are full. Women shoppers are encouraged to upgrade from their shopping bags to shopping trolleys. Hypermarkets have created a trend by stocking up empty trolleys at the entrance of the shops to urge shoppers to walk-in with one. Research has shown that 90% of those who walk in Hypers like Hypercity and Spar carry along a Trolley. 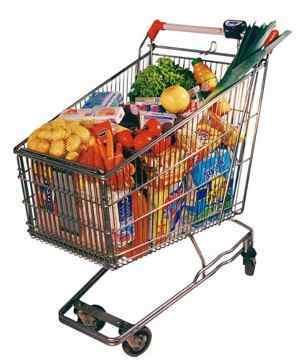 On an average, a trolley is expected to result in a shopping size of Rs. 2,000 – 3,000. Not bad at all, given the fact that most of them never intended to walk in with one. 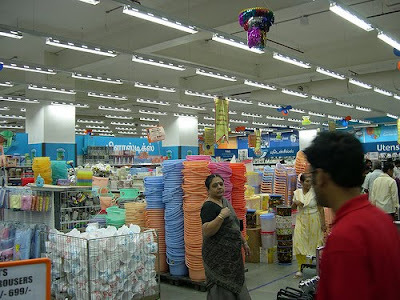 Some of the older Hypers such as Big Bazaar and Total have very narrow aisles in their stores, which make it quite inconvenient to move around. 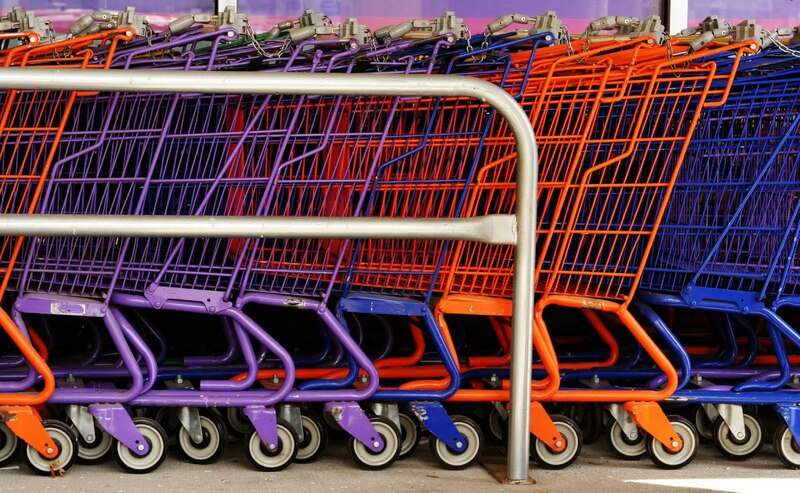 The legendary Shopping cart was invented by Sylvan Goldman, owner of Humpty Dumpty department store in Oklahoma City during late-1930s. 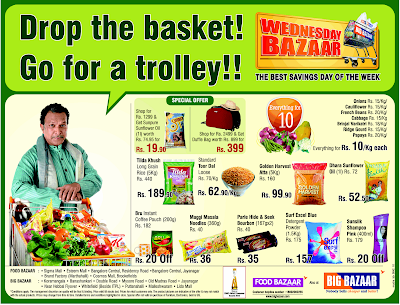 His invention was a result of a simple thought – how to make shoppers buy more groceries and he used a foldable chair with a small basket on top and wheels in the bottom to experiment this. Initially, the idea wasn’t taken very well, men found it effeminate and women considered it as an alternate to pushing baby prams. Models were used within the store to demonstrate the use of such trolleys and eventually, it not only caught up with the habit of shoppers but also became one of the biggest innovations in Retailing. The modern trolley in use today has come a long way after many variations over the past decades and today it is even common to see baby carts within the trolleys where children are made to sit and enjoy the ride while the mother shops around. Many countries, especially in the US and Europe charge a small fee- usually a refundable deposit, a Dollar or a Euro for using the Trolley. The idea is not to safeguard the equipment against theft or as a deterrent, as the cost of the trolley is many times that of the deposit but to ensure users returned them to trolley-parking lots safely after which they would get back their deposit. In Germany for example, over 10% of shoppers don’t care to collect their deposits and the money that retailers make with such a deposit is used for paying the salaries of part-time helpers and trolley retrievers. 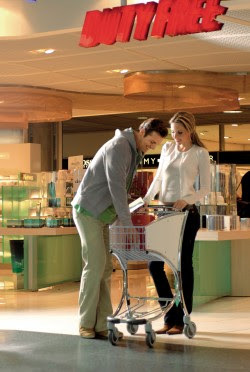 Many airports worldwide use shopping trolleys to encourage passengers to shop. Zurich Airport (a shareholder in the Bangalore International Airport), which is among the most commercially successful ones in the world puts its trolleys to good use by using the side-panels for advertising. Changi Airport which is among the best airports in the world in all senses, uses its trolleys so effectively that passengers who initially intended to use them only for their hand-baggage convert them into shopping trolleys as there are hundreds of shops selling almost everything under the sun, all within the airport. This column today is being written at a Cafe Coffee Day outlet at Bangalore Central Mall while I have been watching hundreds of shoppers use their own trolleys – most of them came with an intention to shop during the ongoing “Happiness Sale” but few would realise that they have filled their trolleys because of compulsive offers around. 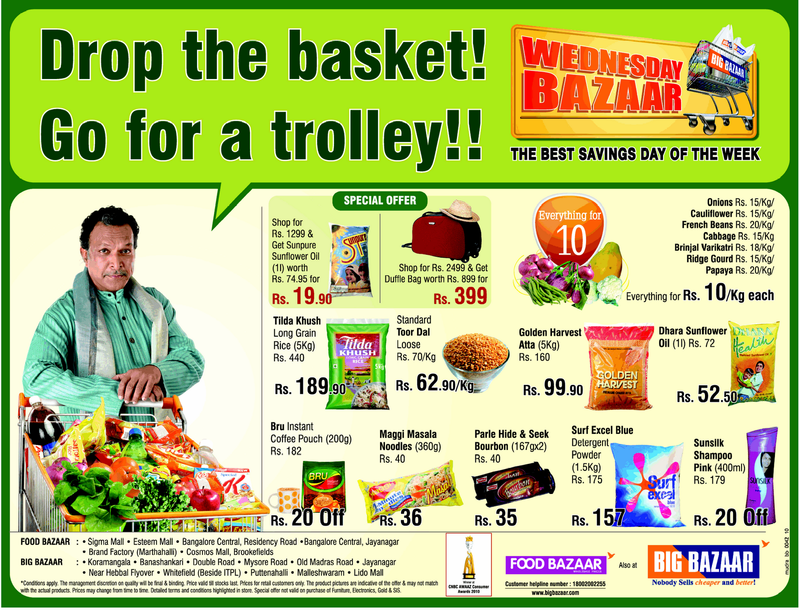 Such is the power of trolleys; so Drop the Basket, Go for a Trolley instead. Happy Shopping. I was in Germany for a month in June 2008. Not on a holiday, but on a mission. I was part of a five member team sponsored by The Rotary International that visited the Stuttgart region as Cultural Ambassador of India to spread friendship and strengthen business relationship between the two countries. We weren’t on vacation but as guests in the houses of German Rotarians. It was a fabulous four weeks and we learnt a lot about the country while also sharing the greatness of our own homeland. During the course of the stay, I had the opportunity to visit a couple of Retail points – a Hypermarket, a Supermarket, a Mall, a famous High Street and a Factory Outlet city. During my course of interactions with various people within the Retail business and outside, I learned one thing – consumers are the same world over! Irrespective of their origin or culture, what they seek when they buy something is the same – “value”. They could have grown up shopping and aspiring for various brands across borders and cultures, but the most important thing that they seek is the product should deliver value and the brand has to stand for its stated attributes. The city that I am referring to is Metzingen, famous for its factory outlets, attracting people from all over the world. Hugo Boss, which was founded in Metzingen and still has its headquarters there, started first with its factory outlet and was soon followed by other companies (e.g. Armani, Joop, Strenesse, Escada, Bally, Puma, Adidas, Reebok, etc.) who offer a range of their clothing and accessories at reduced prices. I was told that shoppers visit this city in large groups and spend a lot of time and money. All this, in the country of Volkswagen, Audi and Mercedes! 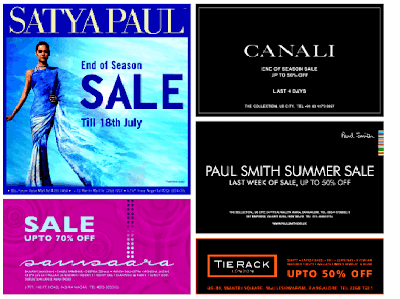 It’s quite common to see Retailers and Brands mark-down and sell their products after the season cycle is over. Typically, the fashion cycle is aligned to climatic conditions – Spring Summer from Feb – July and Autumn Winter from Aug – Jan. Once the season is over, the left over stock of the previous batches are sent to specialized shops popularly known as Factory Outlets. Such outlets are located outside the city due to low real-estate costs, provide basic amenities – may or may not provide a/c, nil or minimal personalised staff service, and limited parking for vehicles. The outlets do not stock the full range but shoppers do not complain as the goods are heavily marked down, ranging from 15-60%. While street-wear brands were pioneers in this line of business, premium and even luxury brands have joined this trend since the mid-1990s. It is quite common to see such outlets all over the world and India is no exception. Since mid-2000, a number of such small localities have come up in the city outskirts and attract large crowds, especially during the weekends. 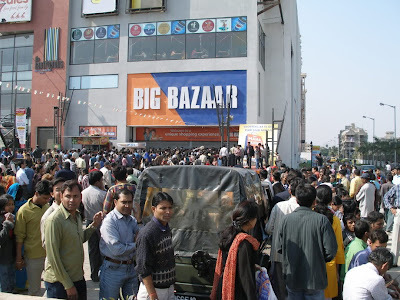 Large format stores such as Brand Factory (by The Future Group), Mega Mart (by Arvind Mills) and many such Retailers operate today and are slowly getting near CBD areas too. While the Factory Outlets are a sure shot dump-yard, brands try their best to liquidate their stocks from within their stores, at lower mark-downs but “higher discounts” that appeal to shoppers. 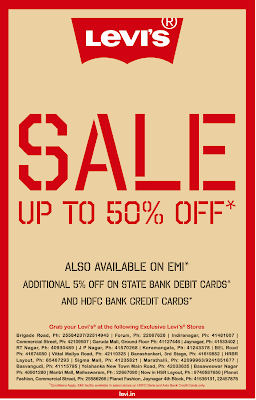 And this was born the concept of “End of Season Sale” or EOSS. 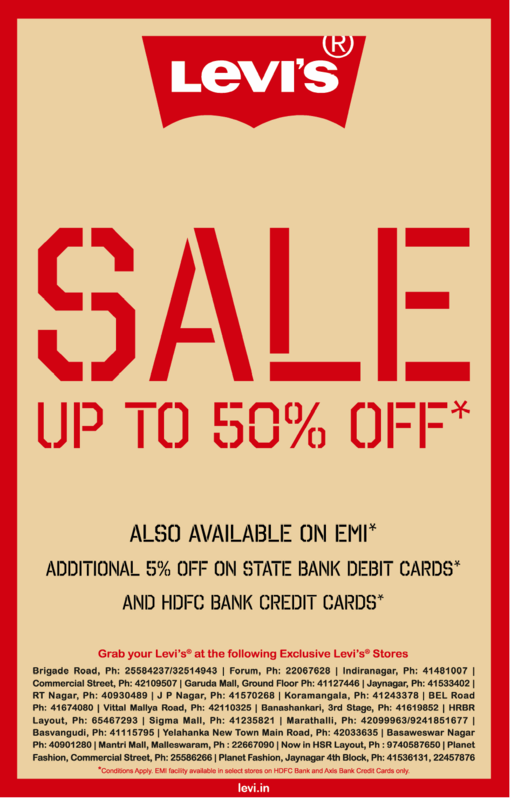 Almost every brand across the spectrum offer EOSS twice a year, just after the season is over. The Sale begins as early as Jan and July and goes on for 4-6 weeks. While the discounts are lower during the opening weeks, it gets deeper as weeks pass by, but shoppers may not get their preferred sizes and colours, so stocks get liquidated quite much during the opening weeks. 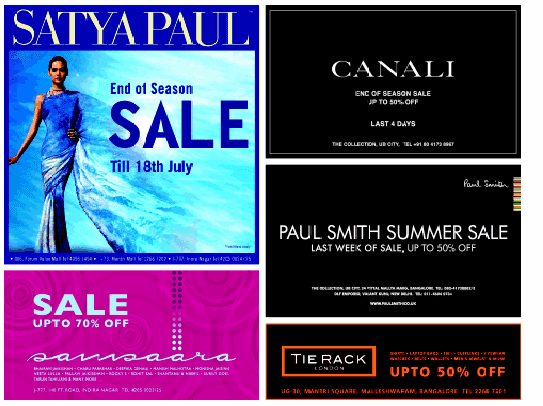 One would have noticed during the last few days, various brands offering deep discounts at their outlets. While consumers keep track of who is offering what, they usually wait for the big boys – the Department Stores such as Shoppers Stop, Lifestyle, Westside and Central to commence their EOSS. Since the size of stock-holding is substantial, the discounts offered by them are also deeper. India’s largest Department store chain by size, Shoppers Stop (which operates more than 25 stores across the country including at Bangalore International Airport & Hyderabad International Airport) and Lifestyle offer a preview for two days to their privileged customers, their Loyalty card holders (First Citizen and Inner Circle). Westside offers an additional percentage of discounts if shoppers use a particular bank’s credit card. The newest and the most premium Department Store format, The Collective from Madura Garments that stocks brands such as Hugo Boss, Armani, Ralph Lauren, etc also goes on Sale! 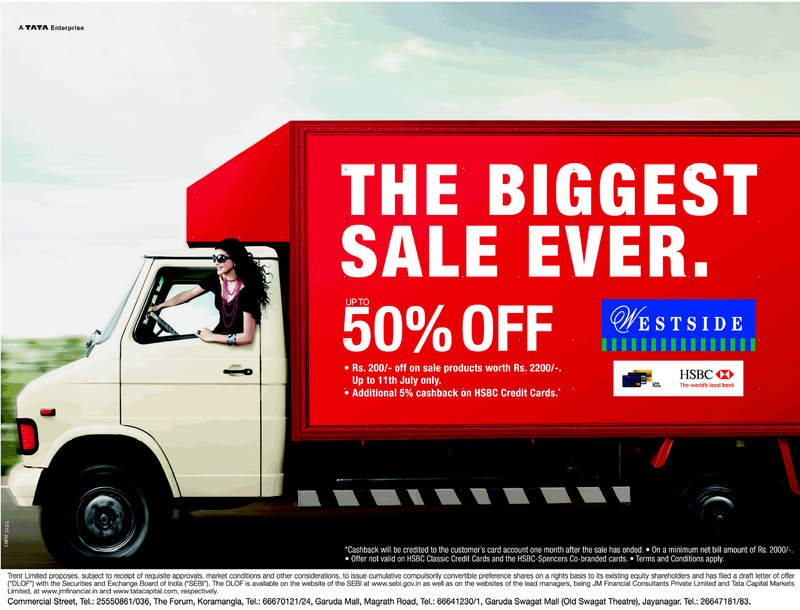 5th and 6th July 2010 would remain etched in the history of Indian Retail for some time to come. While the country witnessed an unprecedented (sic) response to a nation-wide Bandh (shutdown) called by the opposition parties against the recent Fuel price hike (after the Government deregulated Fuel prices) and to show their solidarity against rising levels of inflation on Monday, leading to estimated losses over USD 3 Billion, Tuesday was a green letter day for Organized Retailers. 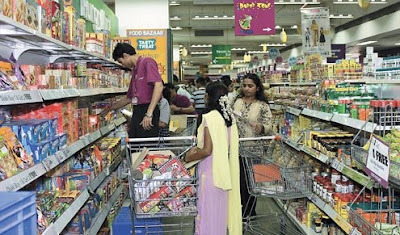 The Government of India (GoI) announced a discussion paper to debate on allowing FDI in multi-brand retail leading to mixed reactions across the country and outside. Everyone who was anyone in the Retail realm in the country had comments to make. Rightly so, as this public debate was much needed; while the fundamentalists have always argued against the entry of foreign multinationals in Retail, those in the business have usually welcomed the idea, although with caution. One of the biggest criticisms against such a move by the country is that the small retailers (Read: Kirana Stores aka Mom-Pop stores) would lose business to the modern, organized retailers. 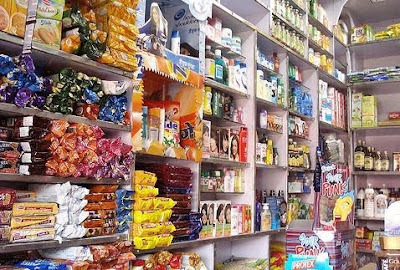 The biggest and single largest qualm against allowing FDI in Retail have been that Organized Retail would lead to losses of small kirana stores. There are over 12 million retail touch points in India of which more than 90% of them are Unorganized. 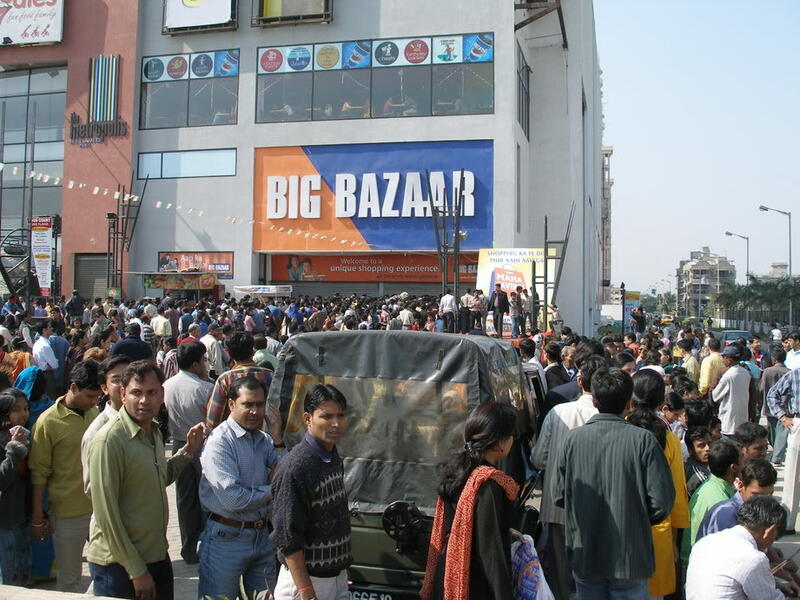 The estimated size of the Indian Retail Market (as per various sources online) is more than INR 200,000 Crores. So, 90% of those engaged in Retail business, to begin with do not pay necessary taxes to the Government. These small retailers operate on a net margin of 4-7% after all their expenses and hence the Governments (Read Political parties) have remained soft on them. These small traditional Retailers have been serving Indian consumers and their families for over four decades and remain favourites – from buying milk to bread or vegetables. Many of them provide credit facilities and some even deliver at doorstep at odd times of the day (and night), without any additional cost. These Kirana stores have been all time favourites for FMCG Companies to introduce and promote new products, new variants and various consumer promotions. All this changed since 2000 AD when organized retailers started to spring up all across the country. Those days, Organized Retail was less than 5% and was considered pricier and novel, even by urban consumers. However, Organized Retail has come a long way since then. In large cities and metros today, Organized Retailers aren’t competing with Kirana stores anymore, but with those of their own ilk – other organized retailers. It is quite common to see large advertisements in leading newspapers all through the week and weekends advertising various offers and promos to entice consumers to visit their outlets. Having said that, not many small retailers and Kiranas have lost business; In fact, they have got better and more organized than before. Those who are out of business are not because of large retailers, but because of competition in the same league – similar ones are offering better pricing and service, two main attributes why consumers were shopping at Kiranas. When consumers in SEC B and above moved towards Organized Retail, those below moved up from shopping at Govt. Run PDS Stores to small Kiranas. Maslow’s theory of Evolution? Hence, the logic that small Kiranas would run out of business is not just a myth, but also immature. Remember, we have a billion people to feed, dress and house – there is enough and more opportunity at the bottom of the pyramid. Most of the Kiranas are entrepreneurs of their own right – they would have started their business using a small capital, borrowed from friends and family and the shop would actually be a part of a house, either their own or somebody else’s. The husband-wife couple take turns to run the show and some of their relatives’ children or their own add hands for support when required, especially on weekends or for home-delivery. It is amazing to see sometimes, children in their teens explaining fabulously about product attributes and pushing sales (top-ups), even better than Management Trainees of FMCG Companies. One of the biggest qualms of allowing FDI is that it would lead to loss of employment – a strange fact, since it is actually the couple who run the business and usually do not employ outsiders. Those employed are their own kith and kin and hence, the staff cost is less than 2% of their turnover, if not lower. Organized Retailers need to comply with Govt. norms with regard to payment of wages and the staff salary includes health benefits (ESI) as well as long term benefits (gratuity / pension). Therefore, Organized Retail would not only provide higher wages to those working in the front-end but would also ensure continuity of service and job-security. The Future Group along with its subsidiaries and joint-ventures, which manages various formats such as Big Bazaar, Central Malls, Pantaloon Fashion and various other formats employs over 12,000 employees! Capital infusion is considered among the biggest benefits of allowing FDI in Retail. Although large business houses like Tatas, Birlas and Ambanis have enough (monetary) capital to provide, what they need is Intellectual Capital. While it is always good to say that India is a country of entrepreneurs and we know to run the business best, what we also need to know from International partners is ways and methods to run the business more efficiently – simply because they have been running their own businesses successfully across countries and continents all over the world. Having said that, the next concern is that the multi-nationals would send their profits back home to their headquarters situated outside the country. This too, is a far-fetched dream. The net margin EBITDA that Organized Retailers manage is between 4-12%, depending on the nature of their business. Typically after paying taxes of all sorts, what they end up with a single digit or a decimal profit. Note, Retail is a business that gets profitable over a period of time and with scale. So, to increase their presence and run the business across the country, a lot of capital (including profits) gets circulated. So, if there is any one multi-national that would make money and send back home, it would be a long, long time! While all the razzmatazz of the FDI paper was being discussed in India, Carrefour SA, the French Retailer announced that it is planning to sell of its business and exit South East Asian countries such as Singapore, Malaysia, Thailand, etc. Many would know that US Retailer Wal-Mart had to exit certain European countries after its failed attempt many years ago. Japanese and Chinese Retailers have never stepped out of their terrain since they believe they know their market best. As many would agree in the business, Retail is a very local business. The players need to understand the sentiments of the local and accordingly manage the business. I was at a popular Hypermarket at Bangalore yesterday and while I was talking to their Head of Operations, I learnt that the layout was designed by two foreigners who were experts from Europe. Needless to say, the layout was not only unfriendly but also needs localization, NOW. Consumers have shrugged off the “phoren” theory of Retailing and have embraced local players because of their offering. So, ultimately it is not just Government policies but the consuming public who decide the success or otherwise of any business, and particularly Retail. Time will tell who remains in the business.